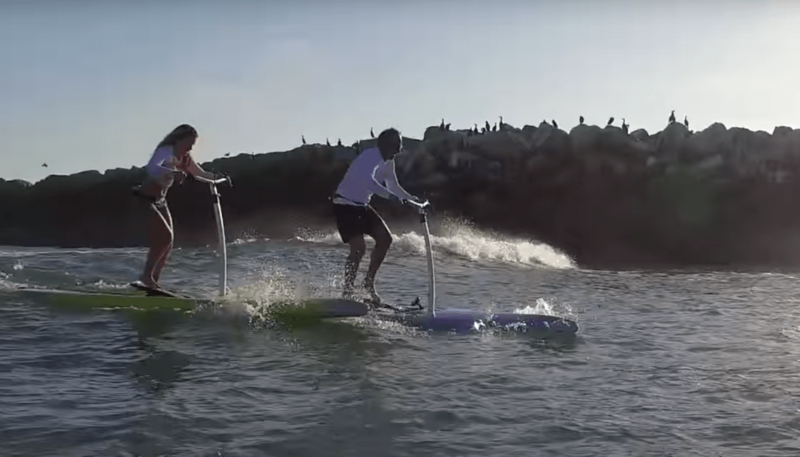 These really are amazing and such a great addition to the paddle board lineup. 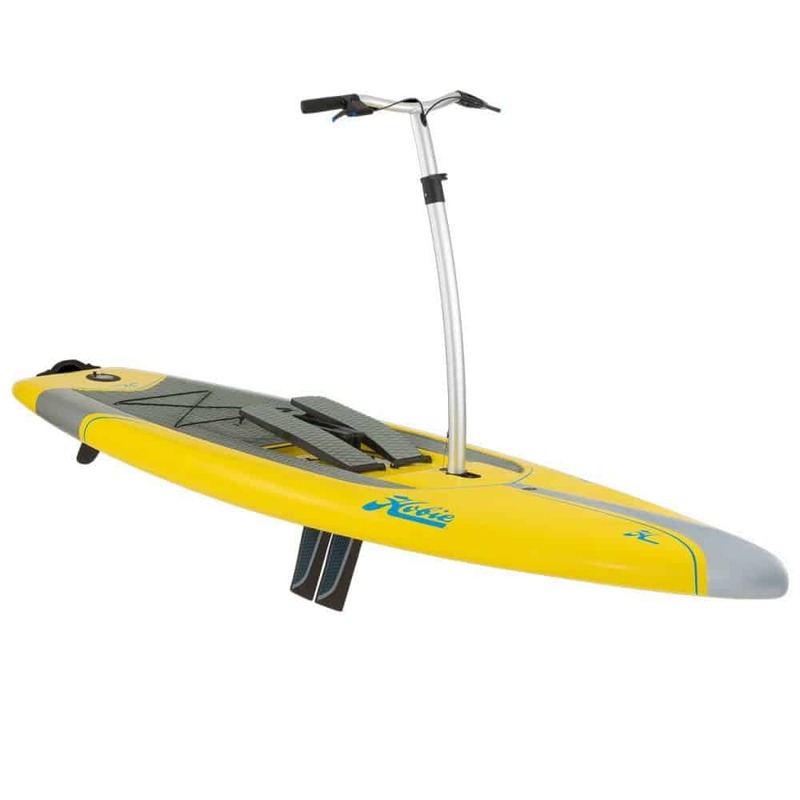 Best part is that you can always undo the handlebars and leave the paddles out and just use it as a regular paddle board if you would like to. 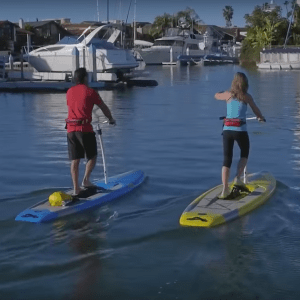 You basically can have a full body workout with one board. 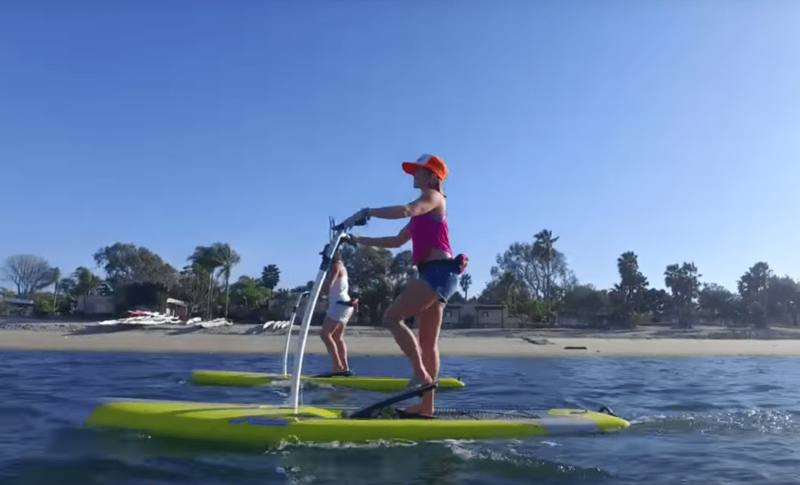 Use it as a pedal board for your legs and a paddle board for your torso and upper body. Yoga board in the evening and you have a full workout. In the future, we will be offering these here with hopefully a discounted price or with a coupon. Current costs are around $2,599.00 + shipping to get into a Hobie Mirage Eclipse Stand Up Pedal board (SUP). These are 10’5″ and are rated for 225 lbs. Stay tuned and I’ll leave you with a few extra pictures. Like I said, I hope to be able to get a discount soon, so please stay tuned. Now these may be a bit spendy for a lot of people, but they really are a great piece of machinery. It is basically an elliptical machine on the water as you can see. More than that, you can still remove the extra gear and use it as a regular paddle board if you so choose. Hobie has really created a great new invention. Where can I buy a Hobie Mirage Eclipse pedal board? Amazon has them and we are working on a deal with Hobie to get them here as well. I can’t say that I have seen any in local stores or boat shops as they sell out rather fast. The demand for these is way more then I ever anticipated. Is the Mirage Eclipse reliable? Yes, Hobie puts a lot of time and effort into making a quality product. Just look at some of their past products and see the raving reviews people leave about them. 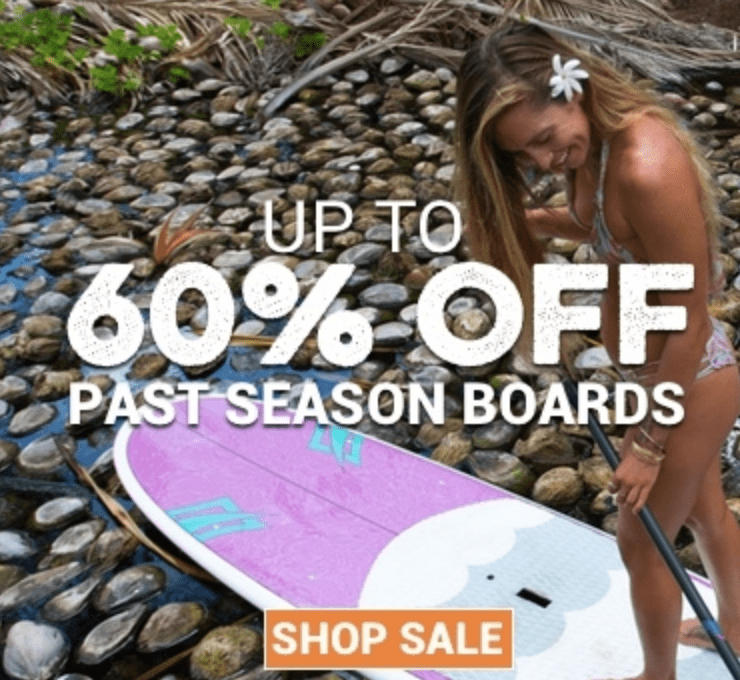 Will there be more boards available soon? I don’t have a concrete answer for this, but it seems like they release a batch every month. If you really want one, shoot me an email or check the links above for current stock. I was really tempted to give this a 4.8 or 4.9 due to the price, but I honestly couldn’t as it offers so much and is so unique. I am excited to see companies thinking outside the box and taking the sport to a new level as Hobie has done here. If you get a chance, get out and try one of these!